Persuading people to give you their cell phone number with a great offer requires good marketing know-how to craft an offer that is perceived to be of high value, and then finding as many ways as you can to get it seen by as any customers and prospects as possible. Even though you will get a great response, it can be improved under the right circumstances. Once again, technology is your friend. Another means of utilizing the mobile phone's amazing capabilities is a neat application called Text 4 Feedback, with easy to use mobile dashboard to control the campaign on the go. This is one of the most amazing ways to collect customers’ feedback and opinion. It is done in a fast and proper way so that your business venue gets the feedback as soon as possible. Another app, Text-to-Screen works almost the same way with one big difference. 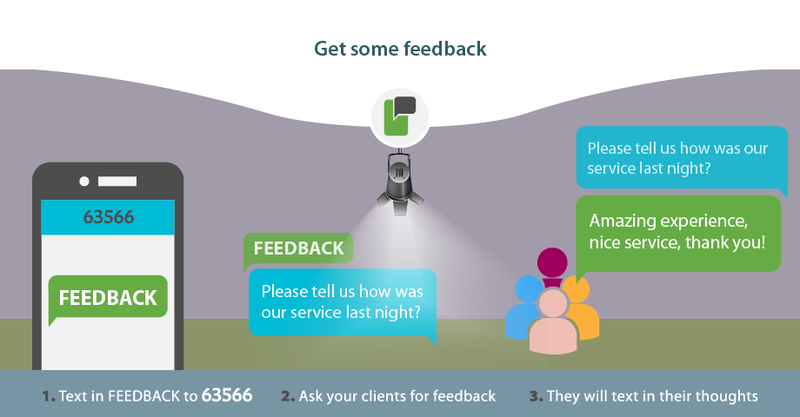 Instead of offering them some incentive to give a feedback, you offer them the opportunity to send a personal message to the huge screen up on the stage where it will be displayed for everyone to see. When they respond, their number is captured and their message appears on the screen. Further engage your audience and boost your brand recognition.